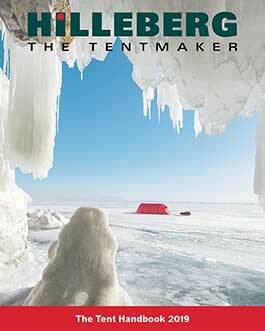 The materials used in a Hilleberg tent are of the highest quality, therefore they are also more expensive than many others. Our exclusive Kerlon fabric has a tear-strength up to six times that of ordinary tent fabrics, and our groundsheet material was chosen because it is the most waterproof and puncture proof fabric we have found. Read more about our materials. We have our own factory in Europe where one person makes each tent. You can even find their nametags inside the tent. We do not mass-produce anything. Each tent is assembled and checked before being sent out. Read more about how are tents are designed and built. We never compromise on quality or safety in order to achieve a lower price.